Initially classified as Rodents but, in the early 20th Century, re-classified as Lagomorphs; rabbits in the wild exist on every continent except Asia and Antarctica, and domestically world-wide. A male rabbit is known as a Buck and a female is known as a Doe. 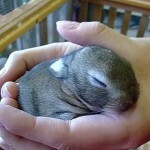 Baby rabbits are often mistakenly thought to be known as Bunnies, but a young rabbit is actually known as a Kit or a Kitten. 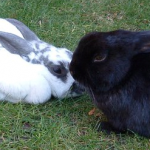 For many years, rabbits were wrongly classified as Rodents – they are not. Rabbits are classified as Lagomorphs. Today, they exist in the wild on every continent except Asia and Antarctica, and exist domestically world-wide. With the warmer weather (supposedly) on its way, now that spring has arrived & Easter is on its way, it got me thinking rabbits! 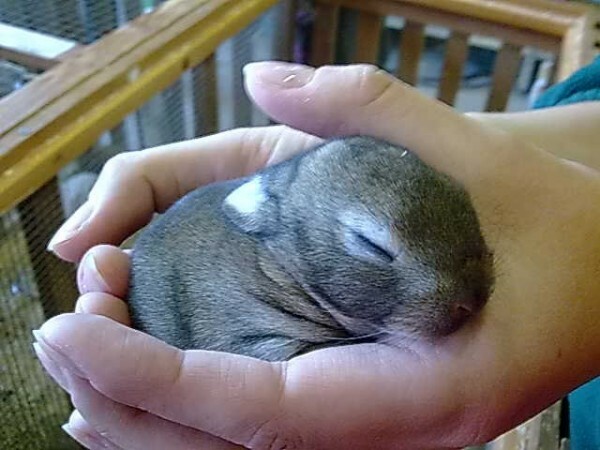 Partly because of the Easter bunny, partly because all the little, wild baby bunnies (kits) will start to appear soon with their parents, to begin life above ground! 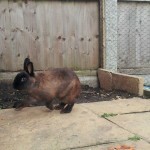 So here is my bunny post… Bunny Basics. 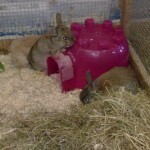 For many years, rabbits were wrongly classified as Rodents – they are not. Rabbits are classified as Lagomorphs. Today, they exist in the wild on every continent except Asia and Antarctica, and exist domestically world-wide. With the vast population of rabbits, humans introduced a disease to attempt to control the wild population – myxomatosis. 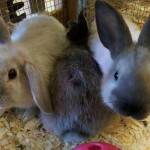 This is a nasty, air-borne virus that affects both wild and domestic rabbits – it will result in death, whether via the progression of the disease, or via euthanasia. 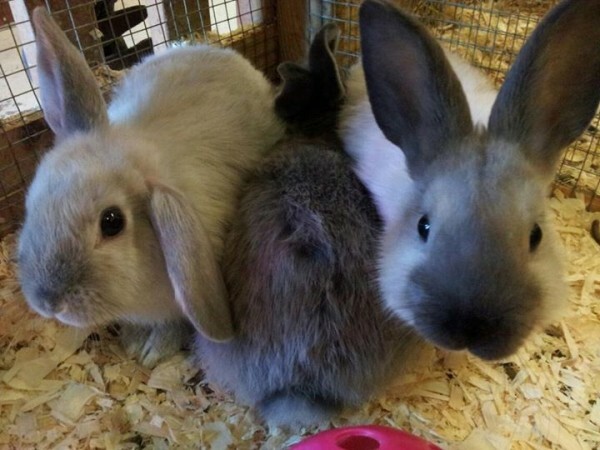 Domestic rabbits can be vaccinated against this – so make sure you get your rabbit(s) to the vet and keep up with this inoculation regularly, especially if you and your rabbit(s) live in close proximity to a wild rabbit colony. Be careful, especially in warmer weather about parasites too! 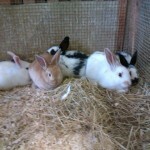 Keep you rabbit up to date with anti-parasite precautions, such as worming tablets and flea/ mite spot-ons. 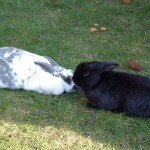 One of the worst things your bunny can get in warm weather, and poor hygiene, is fly strike! Fly strike is where the smell of a dirty bunny or a dirty hutch/ cage attracts flies, and the flies lay their eggs on the rabbit (usually around their tail and rump). 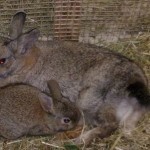 The maggots hatch and begin to eat… the live rabbit. This, obviously, can be fatal. If caught in time, and gotten to the vet in time, they can survive. This is a painful experience and very unpleasant (as you can well imagine). 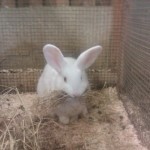 Keep your bunny and his house clean and smelling as nice as a rabbit and his house can! Especially in summer! 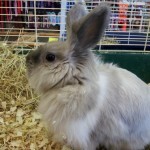 Pellets or muesli-type rabbit food can be bought, and fed according to the guidelines on the packaging. Do your research into good food brands – cheap price usually means poor nutrition. 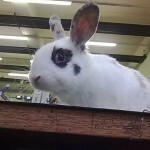 In my personal opinion Excel are brilliant at rabbit and guinea pig food (but not dog or cat food), and the pellet type I have used with my rabbits in the past. Russell Rabbit food is a good muesli-type, and very popular too. There are a lot more brands out there so do some research, and also see what your rabbit prefers. Some rabbits will pick out the bits they like from muesli-type food, and leave the rest (as mine used to). 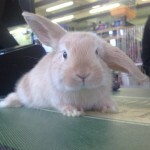 Rabbit that do this are better suited to the pellet diet so that they get all the nutrients provided in the food, and do not miss out on any because they’re being picky! Now if you keep rabbits and guinea pigs together, know that guinea pigs do not make vitamin C in their body like rabbits do – guinea pig food is safe to feed both rabbits and guinea pigs on, however guinea pigs will get a vitamin C deficiency if they are fed on rabbit food. Fresh fruit and veg can be given to rabbits, but be careful what you give them! Grapes, onion and garlic are toxic to bunnies – as with dogs. Tomato leaves are also toxic to bunnies. 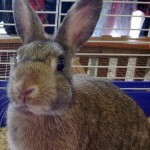 Do not feed you rabbit anything with a high water content such as lettuce (particularly iceberg) and cucumber; foodstuffs too high in water content can cause bloat, which can be painful, smelly, and on occasion – fatal. Do not feed grass cutting from your lawn-mower; this is not good for your rabbits’ digestive system. Dark green veggies are great – cabbage, broccoli, sprouts, pea shoots, green beans… Not forgetting the classic bunny food – carrots! These can be fed in their entirety – leaves, roots and all! When thinking what to feed your bunny abide by the “if in doubt, leave it out!” rule. If you let your rabbit in the garden, make sure there is nothing toxic growing out there that could be the end of your rabbit! Daffodils, foxgloves, ivy, poppies, hemlock, snow drops, tulips, and many more common garden plants are toxic to rabbits – take a look around your garden and check up on the plants before letting your rabbit run free – alternatively, get a run for him! Roughage is approximately 70% of your rabbits diet. This is a very necessary foodstuff that your rabbits requires. Roughage means dried grass, mainly hay but there are other types out there – although not straw. 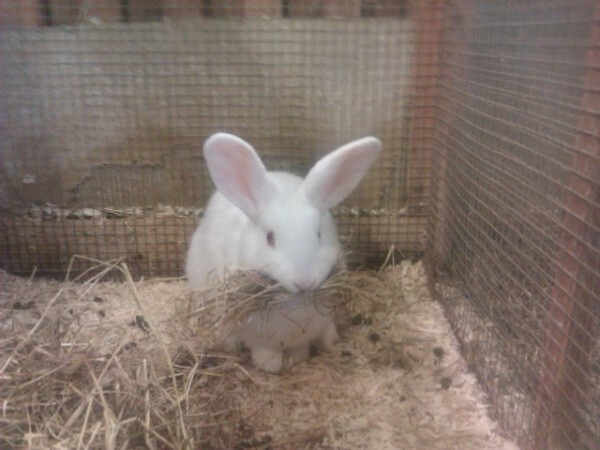 Rabbits do not eat straw, however it can be used as bedding. Fresh hay ought to be provided daily, and any soiled hay removed. 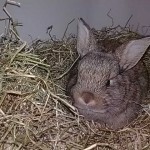 If you are new to rabbit ownership, I would advise you to get a book about rabbit care, with a good reputation. These will contain basic care information and food do’s and don’ts. If you have any questions, comments, or would like more information; leave a comment below or contact me via Facebook, Twitter, Google+, or LinkedIn.